Truong Hai Auto Corporation (THACO) held an inauguration ceremony for the THACO agricultural machinery factory at the Chu Lai Open Economic Zone in the southern province of Quang Nam on February 21. The construction of the THACO factory commenced in January 2017, on an area of 12,500 m2, and required an investment of VND500 billion (US$22 million). The factory will produce agricultural tractors, harvesters and farming equipment. In its first phase, the plant has a capacity of producing 2,000 tractors, 3,000 sets of farming equipment, and 1,000 combine harvesters per year. THACO agricultural machinery factory has acquired technology from LS Mtron, the largest agricultural machinery producer in the Republic of Korea, which also runs factories in Brazil and China and provides tractors for more than 40 countries around the world. 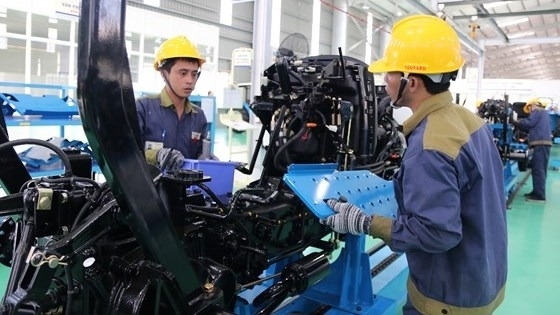 LS Mtron will transfer tractor production technology to THACO and assist THACO in training engineers in order to help the Vietnamese producer to reach a Regional Value Content (RVC) of up to 50 percent. THACO also aims to export its products to Laos, Cambodia, the Philippines, Myanmar, Indonesia, and other markets in the trading system under LS Mtron.